RadiumReactor works because of the talent that we work with. We would be nothing without truly innovative music, and our artists are that in a nutshell. Offering us the opportunity to represent some of the best in all genres of music, RadiumReactor artists make our job easy. Since all of our agreements are non-exclusive, RadiumReactor artists have an unparalleled amount of creative freedom. Nothing comes to you canned or test marketed, only the raw passion that was originally intended. Don’t take our word for it, listen for yourself! DrumSquared is quickly redefining what can be done on the drumset. The brain child of Philadelphia jazz drummer/educators Joe Mullen and Robert Brosh, Drumsquared focuses on the drumset as a compositional tool, writing original pieces for two drumsets as well as percussion. Anyone interested in the drums should check out their albums. They offer a revolutionary sonic experience. 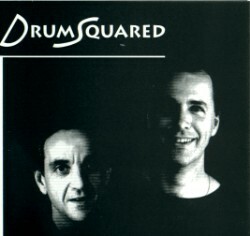 Along with the cutting edge work already done by the duo, Drumsquared is currently working with RadiumReactor to develop the Drumsquared DVD project, which will feature tracks from their sophomore album “The Truth”, remixed and mastered for surround, as well as live video from concerts and clinics. It’s sure to be a spectacular sonic experience. Visit Drumsquared on the web today. Two iterations of a single band, two debut albums, yet somehow, progression, somehow, development, somehow, these bands are no more. These exist in our catalogue, as they were both creations of RadiumReactor’s founders. They continue as a piece of nostalgia, a piece of history, an accomplishment of writing, a stepping stone, complete with grooves. 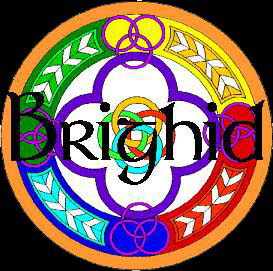 The two albums are distinct in style, the Brighid release has all the oomph of a classic rock band complete with the 80′s guitar solos you know you love. 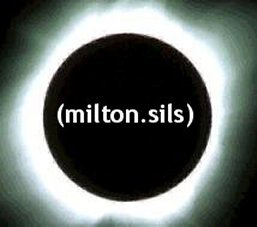 For the milton.sils release, the drummer and guitarist were traded out and a more organic feel produced. Microcosmos is the start of something beautiful. 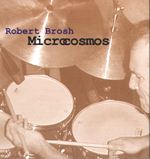 It signifies Dr. Robert Brosh’s long overdue debut as a jazz leader and composer. Long known for his contributions to Drumsquared, and his formidable discography as a session drummer in the Philadelphia area, this album examines the drummer in a different light. The album features some of Philly’s best jazz musicians, and is an exciting and much needed addition to any jazz fans collection. We only hope that this won’t be the last we hear from Dr. Brosh as a leader. 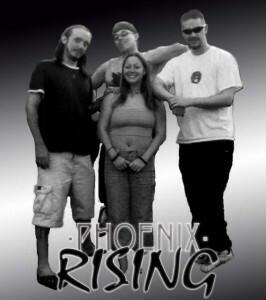 A powerful fusion of pop, rock, punk and progressive attitude (not to mention a liberal dash of deep, meaningful lyrics), Phoenix Rising is the most recent project to cross through the doorways of RadiumReactor. While a complete album has not been recorded for Phoenix Rising, their debut single “13 Stories” shows the strength of this collection of diverse musical souls.